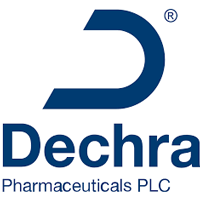 Dechra Pharma Plc (LON:DPH) issued the following unaudited Trading Update covering the half year reporting period from 1 July to 31 December 2018 (the Period). · Brexit contingency preparations are progressing well towards completion ahead of 29 March 2019, and in line with existing scope/cost expectations. In the Period, our total European Pharmaceuticals segment reported net revenue increased by c.18% at CER (AER c.17%), including the Acquisitions RX Vet (acquired 17 December 2017), AST Farma / Le Vet (acquired 13 February 2018), Caledonian Holdings (acquired 8 October 2018) and Venco (acquired 17 December 2018). Existing net revenues, excluding third party contract manufacturing (non-animal health which Dechra is strategically exiting) increased by c.4% at CER (AER c.3%). In the Period, our North American segment reported net revenue growth c.18% at CER (AER c.20%). Growth was driven mainly by the expansion of our US direct sales force in 2018 which is continuing to generate significant sales growth, and was further helped by the temporary absence from the market of a competitor product to Zycortal. The acquisition of Venco completed on 17 December 2018. 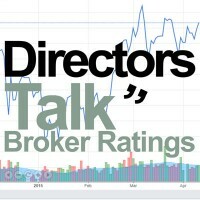 The planned revenue and EBIT contribution to the Group will feature in the second half of the year. The integration plan is underway. Dechra will announce its Interim Results for the Period on 25 February 2019. Click DPH for the full archive.